How to overcome complexity and be ready for future growth. 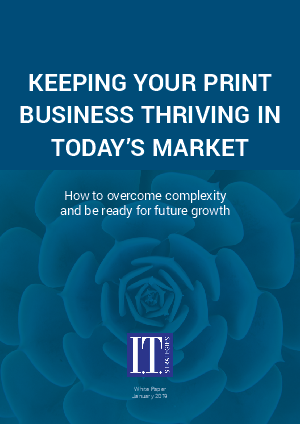 The modern production digital print market brought a world of opportunities for micro-runs and variable data printing into the hands of Print Service Providers (PSPs). With print available in any quantity to anyone, print is being democratized, resulting in ever-greater numbers of increasingly smaller jobs. The old print model of high-volume static print is being replaced with a myriad of micro-runs and micro-jobs. Automation that allows PSP owners to master the ensuing complexity and respond faster than ever before is enabling them to refocus on market development and on delivering value.